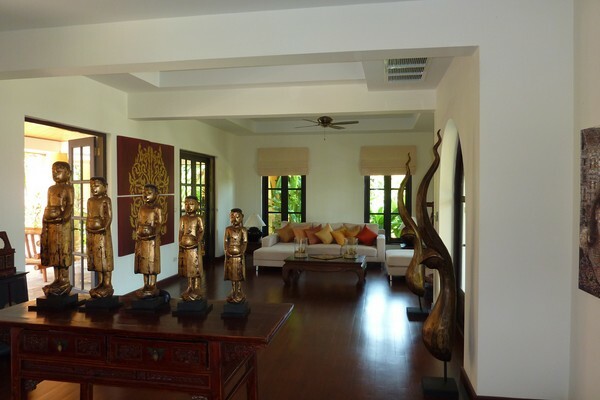 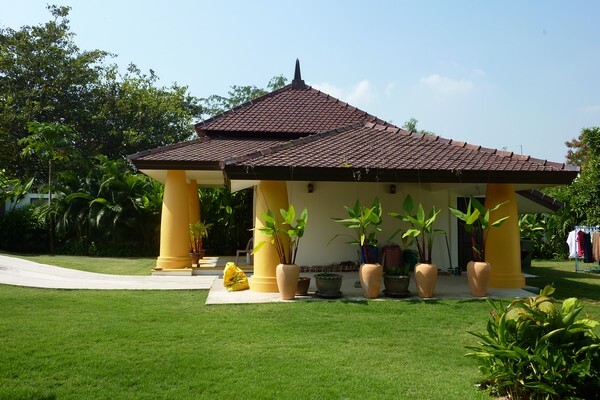 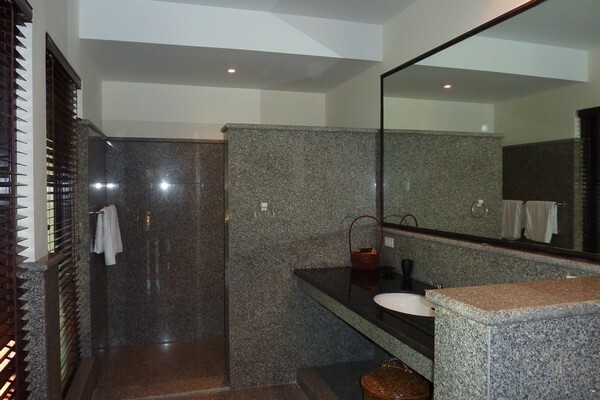 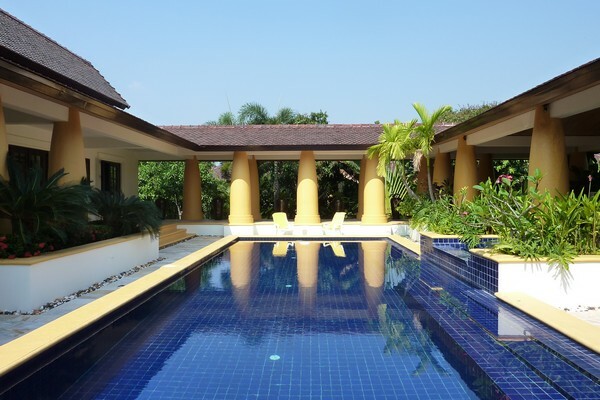 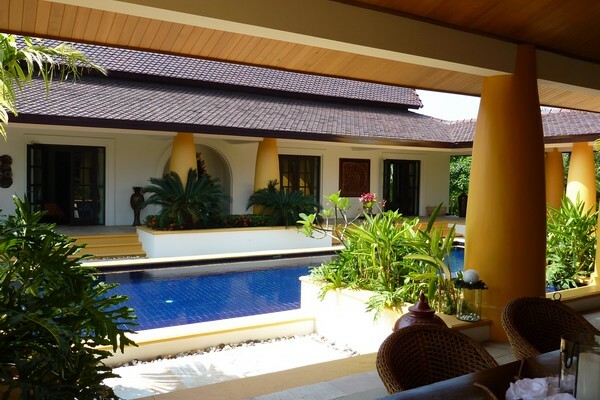 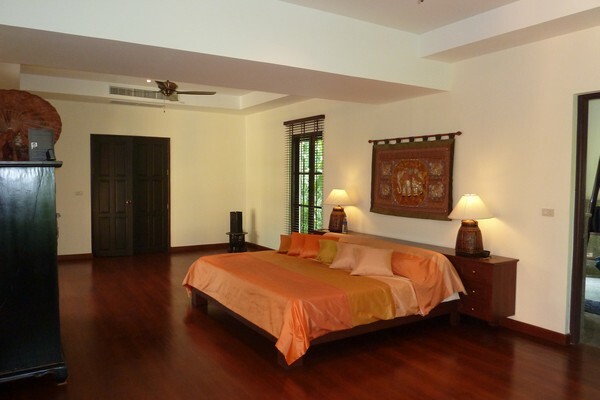 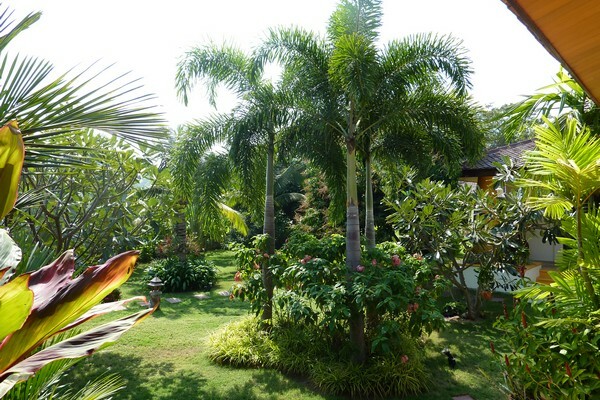 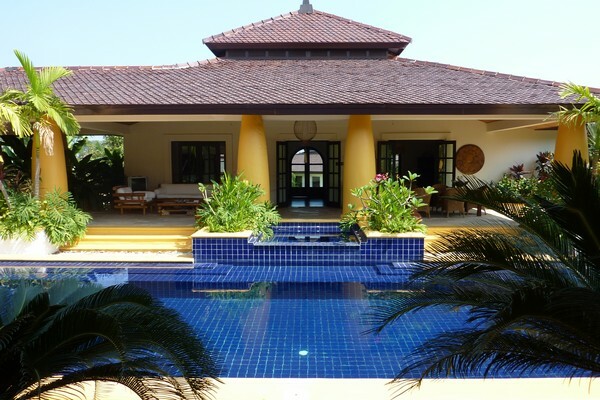 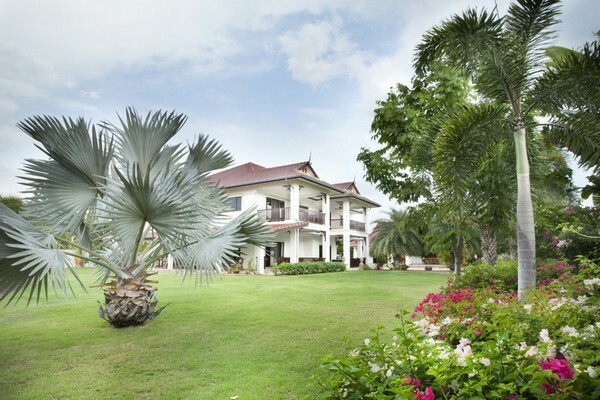 This large Balinese style Executive Villa is located just minutes from the center of Hua Hin in a very quiet and peaceful area. 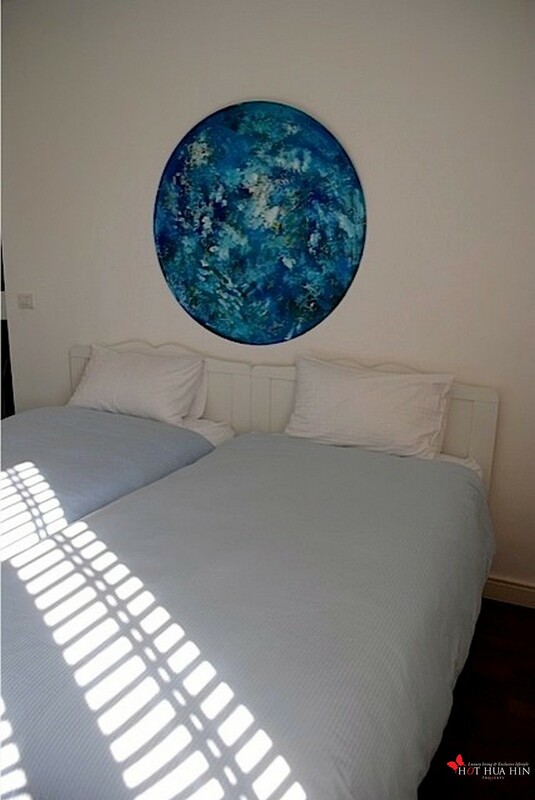 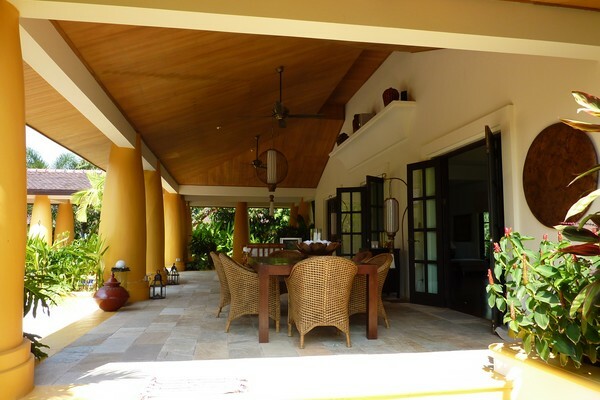 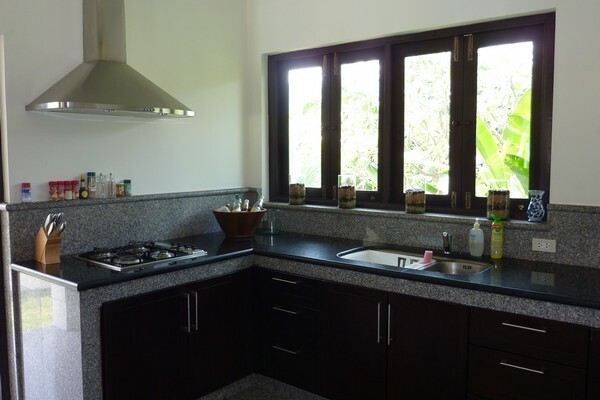 Situated on 2,400 square meters of lush tropical garden land this three bedroom, four bathroom home comes with a European kitchen, air conditioning throughout, all bedrooms en-suite, separate maid’s quarters, a car port and a large 12 X 5 meter swimming pool with Jacuzzi. 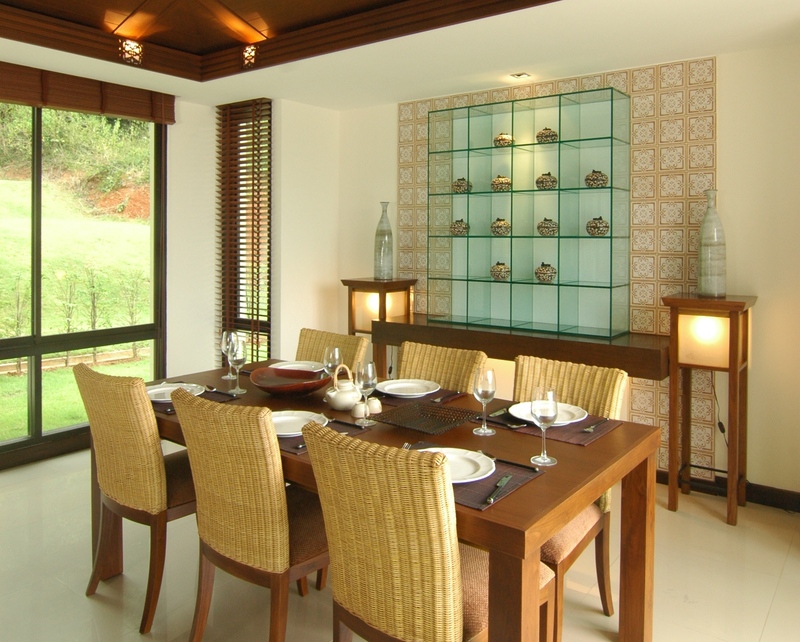 Sold almost fully furnished.